was 5 years ago and I haven't looked back yet . by some. I like things done right! This mentality only benefits my clients. with adrenaline. Let my eagerness and energy go to work for you! estate process. Treat other as you would want to be treated! I have worked in the field of information technology for over 10 years. Technology professional with ten years of experience. 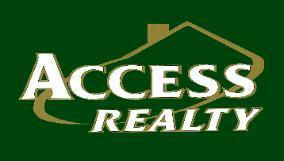 -To provide exceptional service to you as either a buyer or seller. reach a mutually beneficial agreement. my assistance that you would refer friends to me without reservation. required in every successful transaction.